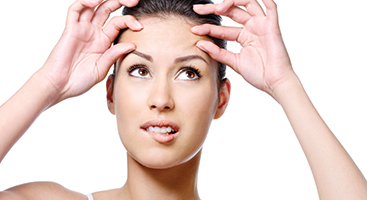 While Botox injections have been a popular form of neurotoxin injection used to fight wrinkles and frown lines for a number of years, Dysport has emerged as a popular alternative. As an anti-aging treatment, Dysport injections work in a very similar fashion in that the injections effectively hold the facial muscles still to reduce wrinkles, age lines, and crow’s feet. At Rejuvenation Medi-Spa, we offer Dysport as a popular facial treatment to combat aging as part of Maryland’s Top Rated Local® skin care facility. And because Dysport works incredibly fast, you will typically see the results of the injections in about three days’ time. Dysport injections, while newer to the American cosmetic market, have been used throughout Europe and South America as an anti-aging procedure for many years. The increased popularlity of Dysport is often credited to the fact that most research on Dysport injections demonstrate that the treatment tends to be faster acting and longer lasting than other injectable wrinkle solutions. Additionally, because injections of Dysport have the ability to spread into the glabellar muscles of the face further than other treatments, there are typically fewer injection sites which means fewer side effects. This also makes Dysport a popular choice for the treatment of forehead lines because the injections can cover a larger skin area. Finally, Dysport has been shown to be an effective choice for treating crow’s feet by numerous cosmetic publications. While there is no guaranteed fountain of youth, Dysport injections can certainly help improve the look of your skin by reducing signs of aging. Schedule your Dysport appointment online, or call Rejuvenation Medi-Spa today at 443-291-7302 to book a facial treatment at either of our Maryland skin clinic locations in Prince Frederick or La Plata. Don’t forget to check out our monthly medspa treatment promotions to see how you can save on a Dysport injections today!